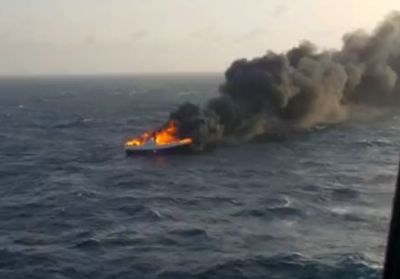 The 20 meter long fishing vessel O Busi caught fire off Cedeira, Spain. The started in the vessel’s engine room and quickly got out of control. The fire spread through out the ship and soon the superstructure was engulf in flames. 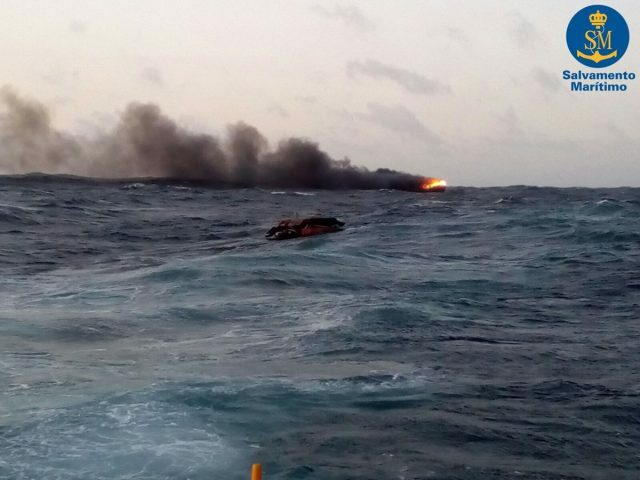 Unable to fight the blaze, the crew of the O Busi sent out a distress call requesting assistance. Spanish authorities were contacted and dispatched a nearby helicopter which was conducting an exercise in the area. Before the helicopter arrived, all eight crew of the O Busi abandoned ship into the vessel’s liferaft. The helicopter reached the scene and hoisted all eight men to safety. No reports of injuries, but the master of the O Busi were taken to hospital on shore. The O Busi remained adrift as it continued to burn. Patrol boats and lifeboats arrived on scene later the same day to see if the fishing vessel could be taken under tow, but reports state the vessel burned to the waters edge. 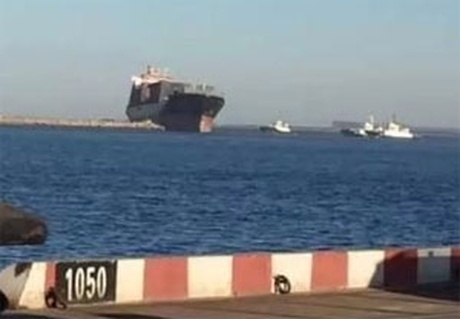 The 203 meter long 41,553 dwt container ship Ze Hong ran aground in the Bohai Sea at Yinghou, China. The boxship made a navigation error as it maneuvered into the harbor and ran up on a bank just off the breakwater. The crew were able to refloat the vessel under its own power. Authorities dispatched three tugs which towed the Ze Hong to a nearby berth later the same day. No reports of injuries, damage or pollution released. Authorities launched an investigation into the incident.